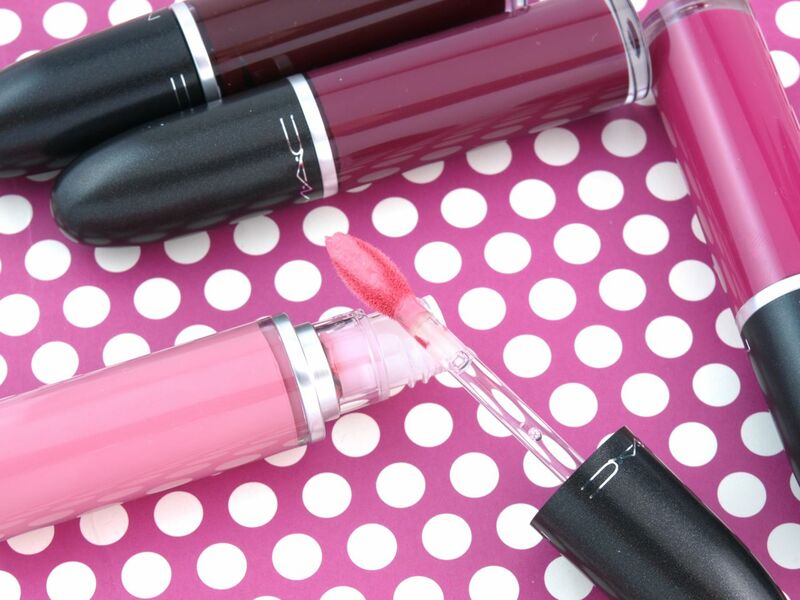 The Retro Matte Liquid Lipcolors come in very cute and chubby lip gloss tubes. I love that the caps are exact replicas of the classic MAC lipstick caps. The doe-foot applicators are paddle-shaped; there are two small pockets on either side of the applicator that helps it pick up more product. I really like the wider design as it helps with a more even and smooth coverage. 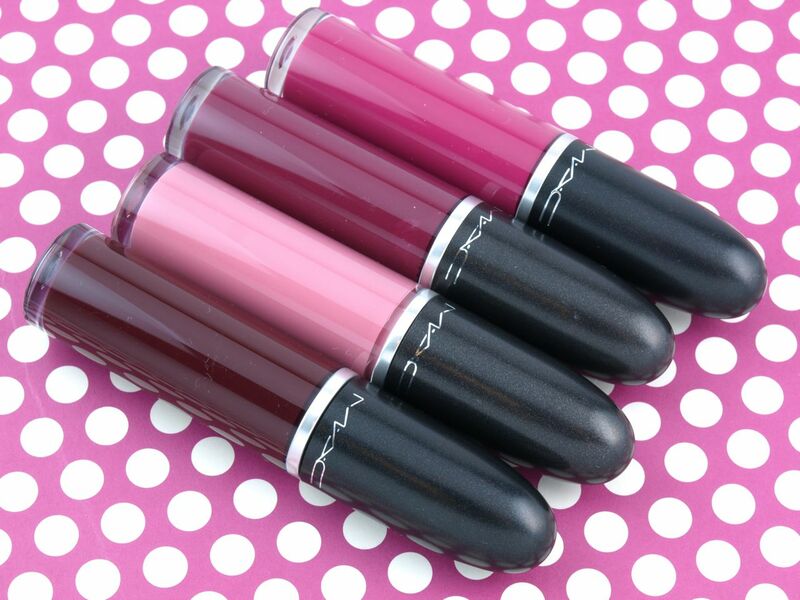 The MAC Retro Matte Liquid Lipcolors are liquid lipsticks with a slightly viscous formulation that sets to a matte finish. Depending on the shade, these can be even and opaque or slightly patchy but the overall pigmentation is very impressive. One thing they do have in common is that these set a couple shades darker than they appear in the tubes. I like how these apply but I don't like how once they set, it's not as easy to smoothly go over the edges of the lips with another layer. I feel like most people would be okay with just applying one layer, but because these set fairly quickly, it's hard to obtain a completely even coverage. I cannot stand any signs of patchiness so I used at least two layers (for the swatches you see below), which ended up making my lips look very dry and shriveled. It's only noticeable up close but they are still a tad drying on the lips. The wear is excellent, it's smudge-proof and waterproof but with heavy eating and greasy foods, it will fade and flake off a bit (as most liquid lipsticks do). 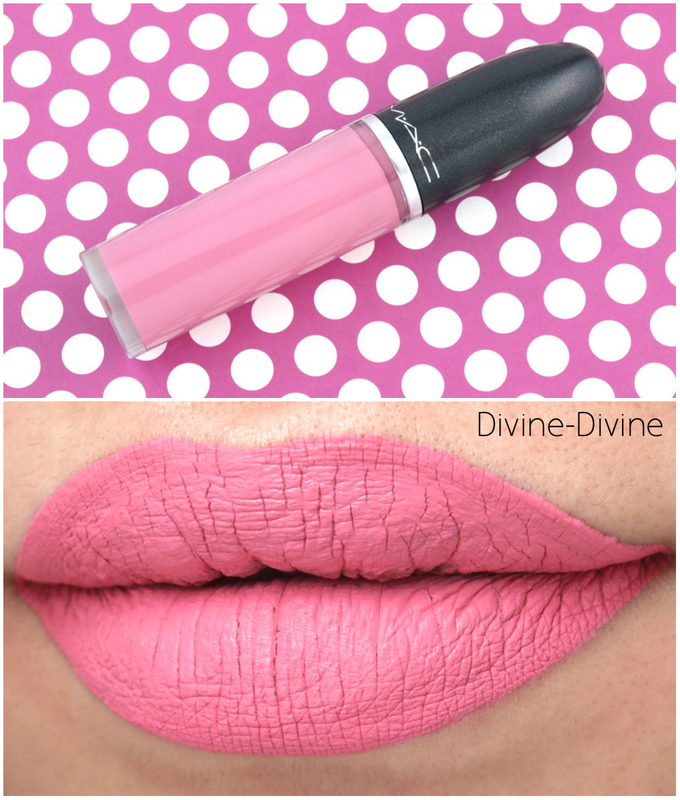 Divine-Divine: This is a super pale cool-tone baby pink. The formulation is surprisingly opaque but I used two layers for a complete coverage. 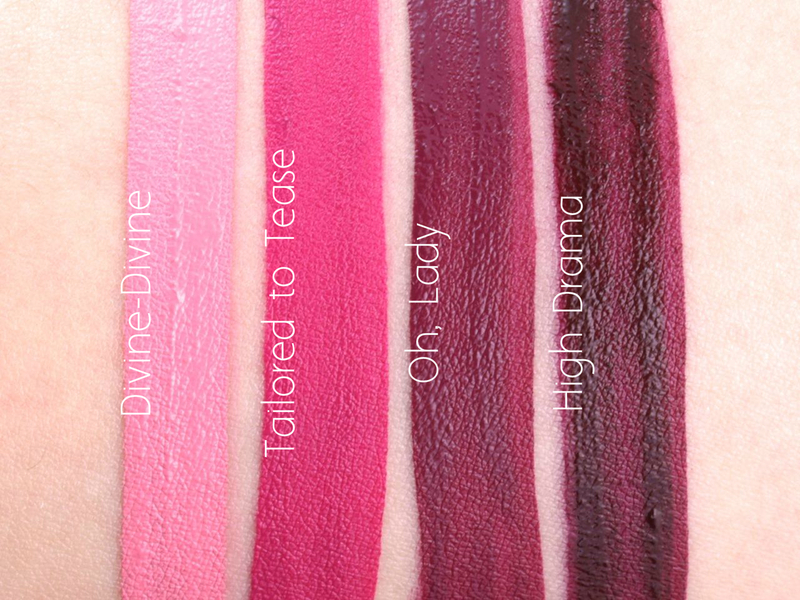 Tailored to Tease: A deep magenta, Tailored to Tease is definitely the most pigmented out of the four. 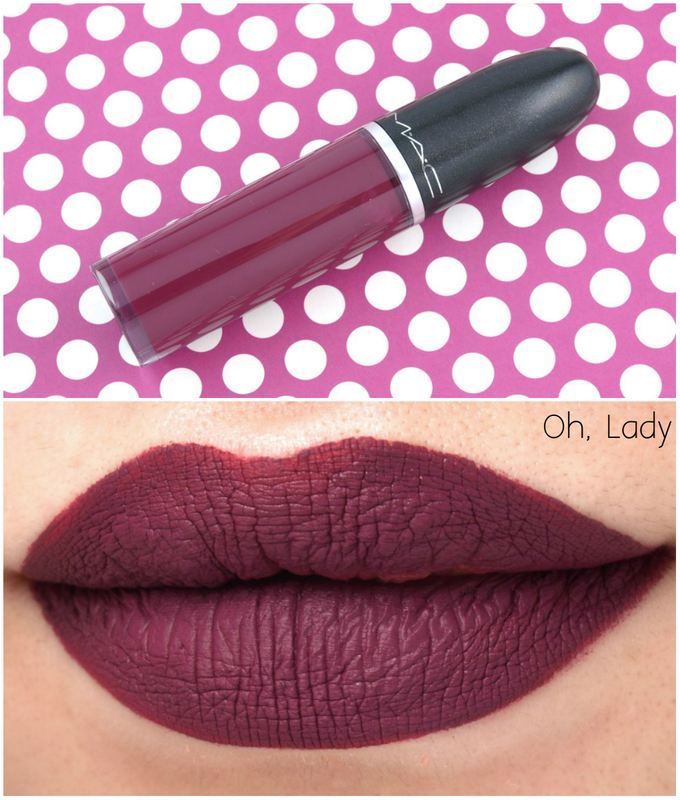 Oh, Lady: This is a very deep plum. With one layer this seems more wine-colored but with two coats it turns very dark and vampy. High Drama: A dark chocolate burgundy, High Drama is slightly patchy compared to the other shades but with a couple of coats it's completely opaque. 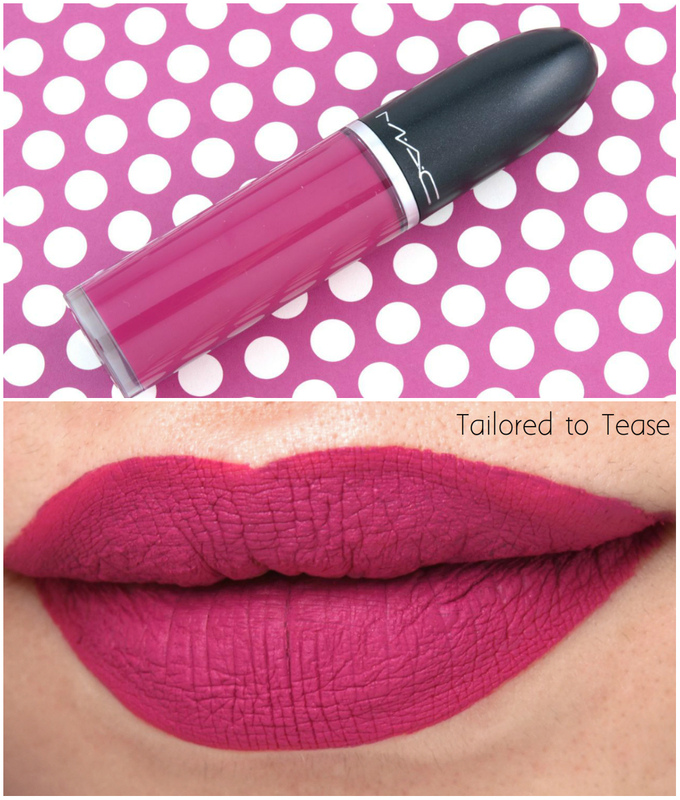 MAC Retro Matte Liquid Lipcolor in "Divine Divine"
MAC Retro Matte Liquid Lipcolor in "Tailored to Tease"
MAC Retro Matte Liquid Lipcolor in "Oh, Lady"
MAC Retro Matte Liquid Lipcolor in "High Drama"
MAC is available online and in stores at MAC boutiques. The Retro Matte Liquid Lipcolor Collection is available starting January 7th.